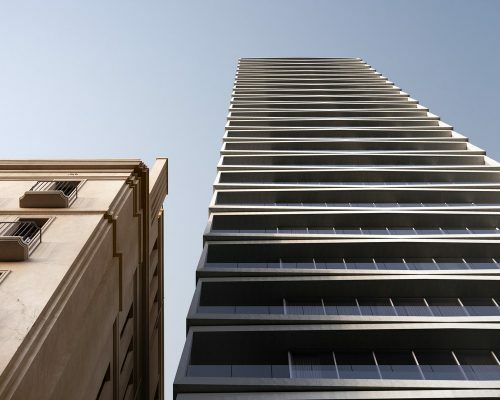 Design unveiled for a 39-storey stacked concrete tower for developer Golden Age Group on one of the last developable sites on Melbourne’s Spring Street. 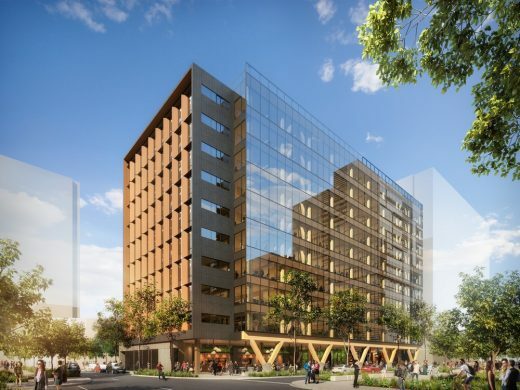 5 King is a high performance commercial building and the tallest engineered timber building in Australia. The 52 metre* high tower in the Brisbane Showgrounds development will also hold the title for the largest gross floor area (GFA) for an engineered timber office building worldwide. At ground level, a substantial 54 metre long timber colonnade lined with cafes and restaurants will cater to the need for creative workspaces outside of the office while establishing a welcoming entry to the building. 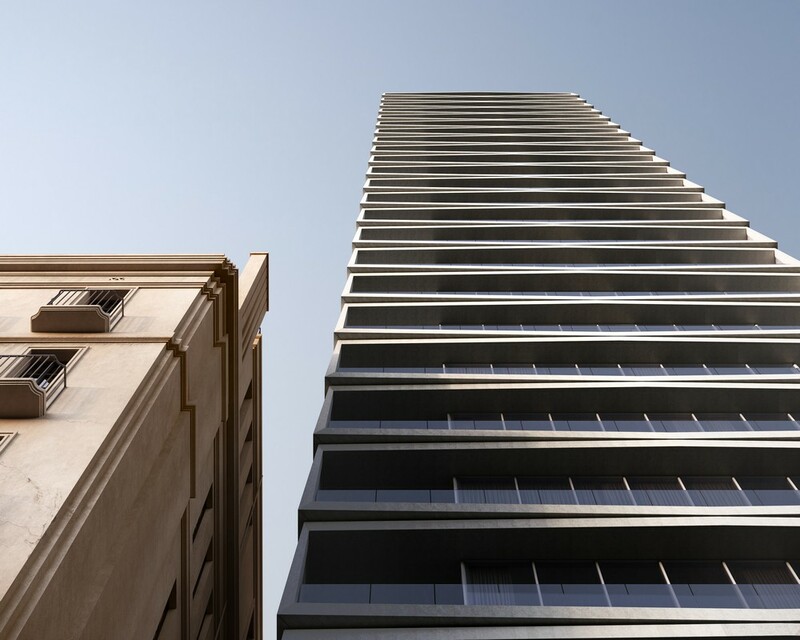 The side-core design offers generous 1,588 square metre net leaseable area (NLA) floorplates, with a total of 14,921 square metre (NLA) over 10 floors. This Brisbane building will be targeting a 6 Star Green Star Design and As Built v1.1 and a NABERS Energy 5 Star rating. As well as using sustainably sourced timber, the building will integrate rainwater harvesting, energy efficient lighting and optimized air-conditioning. Premium end of trip facilities for 152 bicycles and parking for 56 cars is planned. Architects and interior designers are amongst the biggest supporters of lighting design. They have a clear understanding of how lighting can enhance a space they have created. They also appreciate the consequences of poor lighting. 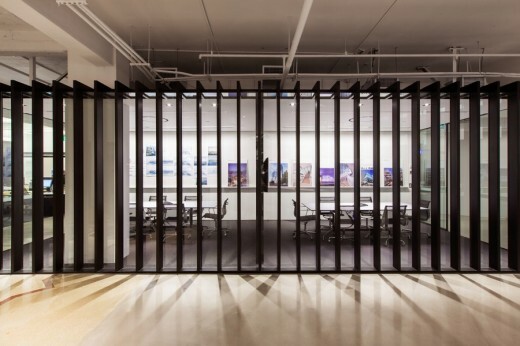 Bates Smart Architects – architecture office with studios in Melbourne & Sydney. 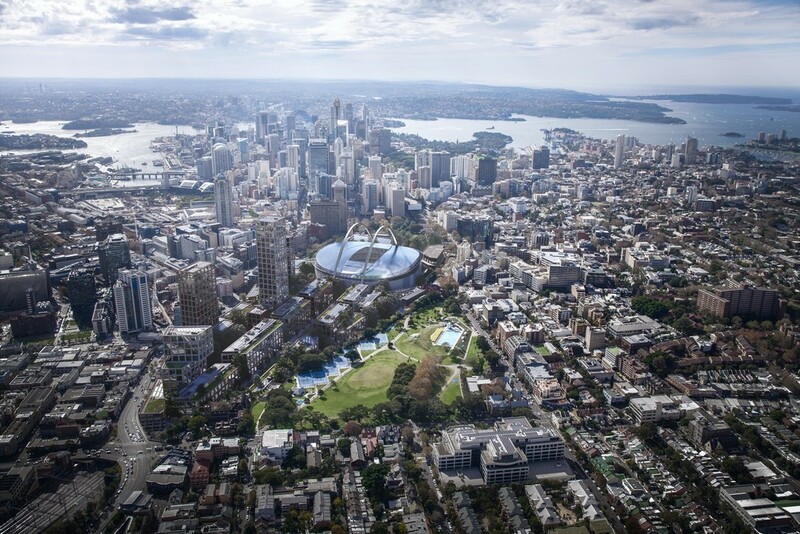 This architectural firm was founded in 1853 by Joseph Reed as the practice Reed and Barnes, it is Australia’s second oldest architectural firm, and amongst the oldest in the world. Founded in 1853, Bates Smart possess a strong legacy of innovation in commercial architecture. As architects for MLC Insurance in the 1950s, the firm designed the tallest commercial towers across Melbourne, Sydney, Brisbane and Adelaide. These lightweight structures were cutting-edge projects, leading the way for modernism in Australia. A number of buildings remain today, including Orica House, home to the firm’s Melbourne studio and 105 Miller Street, North Sydney, which was completed 60 years ago in 1957. Today the firm is a multidisciplinary design firm delivering architecture, interior design and urban design across Australia, with a staff of over 250 in studios in Melbourne and Sydney. The practice’s award-winning projects transform the city fabric and the way people use and inhabit urban spaces and built environments. The firm’s founders were the innovators of their time, and the practice now leads the debate on how and where we work, meet, live and learn. September 1, 2018 in Architects.